Emirates will launch a second daily flight to London’s Stansted Airport from July 1 as president Tim Clark said he remained optimistic about growth in 2019. The new service will also be operated by a Boeing 777-300ER and boosts the Gulf carrier’s number of daily flights serving the British capital to 11. It comes after the Dubai-based carrier started flights to Stansted in 2018 to add its third London port after Heathrow and Gatwick airports. “We are increasing capacity to London Stansted to meet steady demand from both leisure and business travelers to and from the region, as well as international student traffic to Cambridge,” said Emirates divisional senior vice president commercial operations west Hubert Frach. 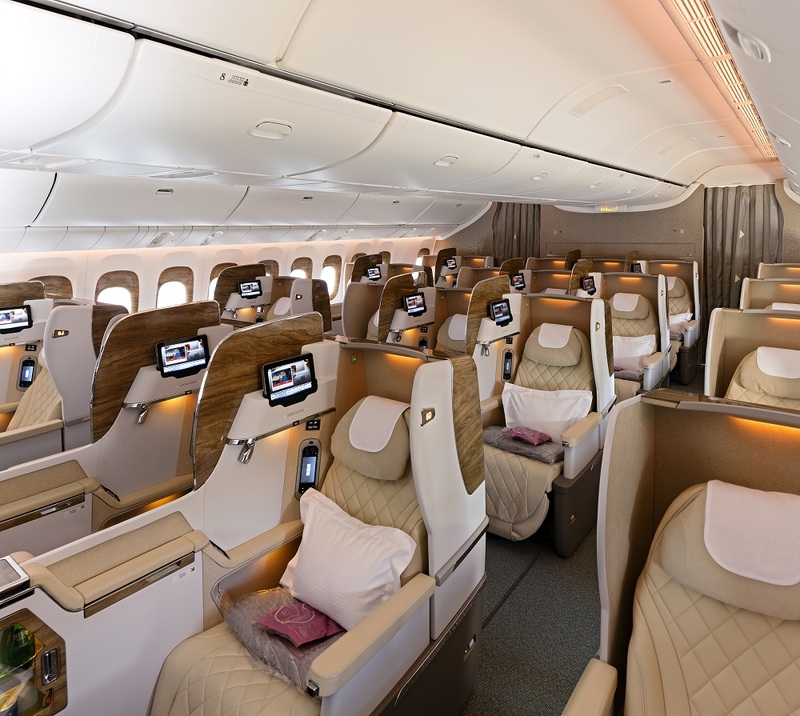 The Boeing 777-300ER comes with six private suites in first class, 42 fully-flat beds in business and 306 seats in economy. Emirates first and business class passengers flying to Stansted also enjoy a complimentary chauffeur service within an 80-kilometre radius. READ: Airbus to end A380 production as Emirates swaps orders. The new flight offers new connection options through Dubai for Australians, with Australian passengers from Melbourne and Brisbane able to connect in less than two and a half hours. The announcement coincided with Clark’s comments about the airline’s growth in 2019. “We are optimistic about our won growth in 2019,” he said in the Emirates publication “Open Sky”. “We’ve seen that the global appetite for travel remains resilient, in spite of the patchy economic growth or geopolitical turbulence. People still want to travel. From July 1, the first daily flight from Dubai to London Stansted will operate as EK65, departing Dubai at 09:00hrs and arriving in London Stansted at 13:30hrs. The return flight, EK66 will depart London Stansted at 15:00hrs and arrive in Dubai at 0105hrs the following day. The second daily flight from Dubai to London Stansted will operate as EK67, departing Dubai at 1415hrs and arriving in London Stansted at 18:45hrs. The return flight, EK68 will depart London Stansted at 21:10hrs and arrive in Dubai at 0710hrs the following day. The new flight will bring Emirates’ total weekly flights to the UK to 140. This comprises six services a day from Heathrow, three daily from London Gatwick and Manchester, two daily from Birmingham, Glasgow and London Stansted, and a daily service from Newcastle and Edinburgh. Emirates is due to cut flights by 25 percent between April 16 and May 30 due to the closure of Dubai International Airport’s southern runway for renovation. Clark said the capacity reduction would affect revenues during the 45-day closure. “The infrastructural investment will pay off and we will be ready to ramp up our operations again during the summer travel season,” he said.